El Imposible National Park (Spanish: Parque Nacional El Imposible) is a tropical forest and a national park in El Salvador. It was established on 1 January 1989 and covers an area of 38.20 square kilometres. It has an altitude of between 250 and 1,425 metres. El Imposible was named for the perilous gorge which used to claim the lives of farmers and pack mules transporting coffee to the Pacific port. El Imposible sits in the Apaneca Ilamatepec mountain range between 300m and 1450m above sea level, and includes eight rivers which feed the watershed for Barra de Santiago and the mangrove forests along the coast. The park is still home to an extraordinary variety of plant and animal life, including pumas, Oncilla, wild boars, king hawks and black-crested eagles. 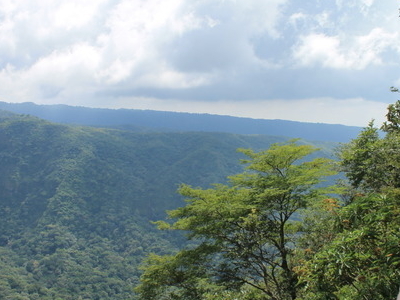 The pacific ocean is visible from high points in the forest.In 1992 El Imposible was entered on the UNESCO World Heritage Tentative Lists, together with the Cara Sucia. 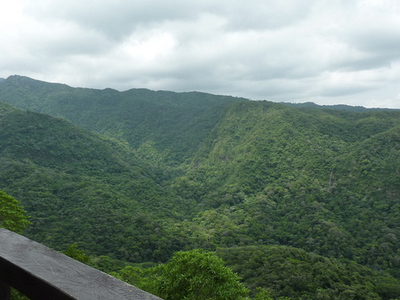 Here's the our members favorite photos of "National Parks in El Salvador". Upload your photo of El Imposible National Park!